Would you like to grow your social enterprise by delivering appropriate public sector contracts? 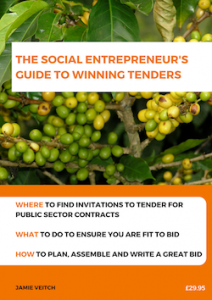 Whether you’re experienced or new to responding to Invitations to Tender and bidding for contracts, The Social Entrepreneurs Guide to Winning Tenders will address social entrepreneurs’ most common challenges. It takes you through the context in which contracts are outsourced in the UK, finding contracts to bid for, how tender responses are evaluated, becoming fit to tender and how to put together a great bid. This toolkit draws on my experience writing successful bids and on the expertise of a variety of social entrepreneurs and knowledgeable specialists. More details and how to order your copy. The media landscape has changed dramatically over the past ten years – and continues to change, at an increasingly rapid pace. You might ask, “so what?” Good question. 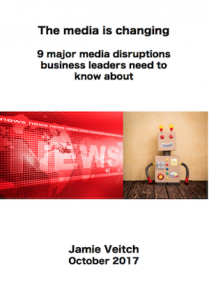 If you run (or you’re a leader in) a business or social enterprise, it’s enormously beneficial to understand the pressures that journalists are under, the disruptions that are impacting on media, and the new opportunities that these changes do present. Because if you do understand what’s going on you’ve got a better chance of engaging with the readers, listeners, viewers and users of media in 2017, 18 and beyond. And with increasing segmentation and micro-niches available to access through media, effective engagement offers you a great route to communicate, building relationships with your future (and current) customers, clients, stakeholders and supporters. I send a free pdf copy to any new subscribers to my regular email newsletters – details here. An in-depth look at the responsible finance industry which plays a critical role in supporting local economies across the UK. It provides access to affordable credit for businesses, social enterprises and individuals that cannot access it elsewhere. Providers supported 34% more customers in 2017 than 2016. The report includes lending data and statistics alongside case studies into the impacts of responsible finance. The report also sets out clear recommendations of measures through which the industry, whose members support business and job creation and tackle inequality, can increase provision of affordable, fair finance. I co-authored this report with Theodora Hadjimichael and Eleanor Pughe of Responsible Finance. 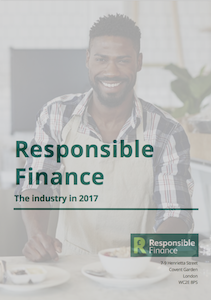 Read or download a copy from Responsible Finance’s website. A higher proportion of crowdfunding projects led by women reach their targets than those led by men. And this applies all over the world and across multiple industries. This report was inspired by data tracking the results of hundreds of thousands of rewards (seed) crowdfunding campaigns. Female-led businesses and entrepreneurs have long faced barriers in accessing finance, (if for some reason you don’t believe me there is extensive evidence of this, and we flag inequalities and biases in the report). But thanks to crowdfunding, entrepreneurs can now access the market directly – and this makes a huge difference. 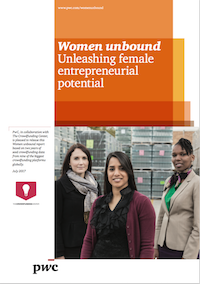 I was one of the two lead authors (working with Aoife Flood of PwC’s Global Diversity and Inclusion Programme) of this joint report, published by PwC and The Crowdfunding Center, which received world-wide press coverage. More details, access to the report and to the data, here.